This Lancaster Table & Seating black stackable plastic restaurant high chair with tray and wheels is the perfect addition to your family-friendly restaurant! 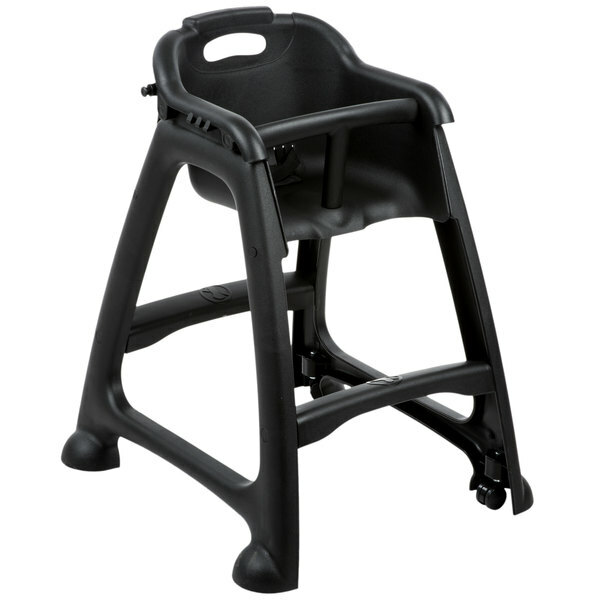 Made of durable polypropylene plastic, this high chair is sturdy and built to withstand years of service. It's easy to wipe down after each use, making it simple to keep clean and sanitize for your next guest. While the incorporated seat belt safely and comfortably accommodates young guests, the added spring-loaded wheels allow for effortless mobility and lock into place when a child is seated.